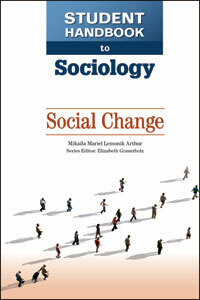 The study of social change has long been one of the central interests in sociology. Social Change is a brand-new, full-color resource that considers the various ways in which society and social life change over time, including the development of modernity, urbanization, environmental change, demographic change, and the role of new technologies. Special attention is given to the role of collective action, including revolutions and social movements, in creating social change. This work will help readers understand how social change happens, the consequences of social change, and the role that individuals play in promoting and responding to change.